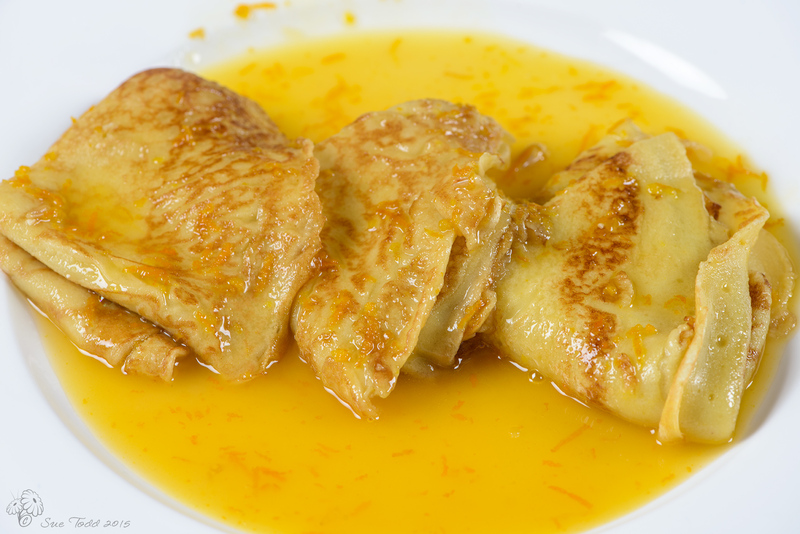 Crêpes Suzette © Sue Todd 2015. While we have pancakes often (some of us more than others in this house), we generally have them with fresh fruit, but thinking about the blog and with Pancake day looming fast we decided to push the boat out, put a lot more effort in and have Crêpes Suzette for a change. It was a real treat, especially mid afternoon on a ‘work’ day! There is a lot more work, and a whole heap of extra dishes, but luckily I got to shoot photographs and eat pancakes while Gary, bless him, prepped the kitchen, completed the cooking, made coffee and then cleared the dishes. I can really recommend Crêpes Suzette as a real cheer up item for a yucky, gloomy late winter’s day, it add’s a real glow in more ways than one! 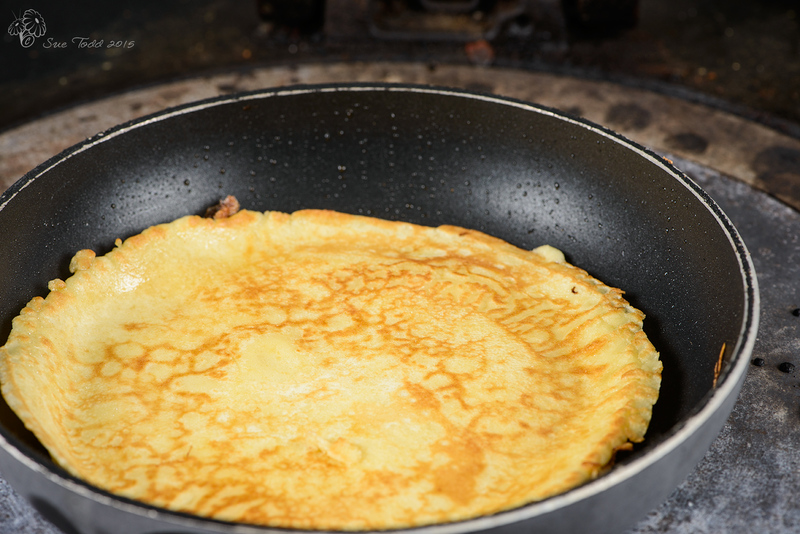 We do tend to go for pancakes with real substance to them in preference to more delicate crêpe like entities, so you may get more pancakes from your mix than we do from ours. This entry was posted in Desserts, Recipes and tagged Crepes, Oranges, Pancakes on February 17, 2015 by Sue Todd. Cooking pancakes. © Sue Todd 2015. 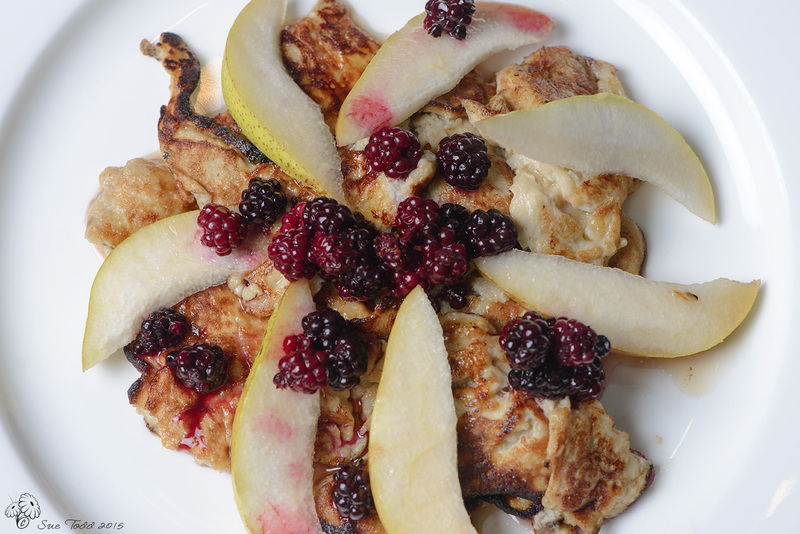 When it comes to pancakes I don’t think too much of a good thing is possible. I love them. 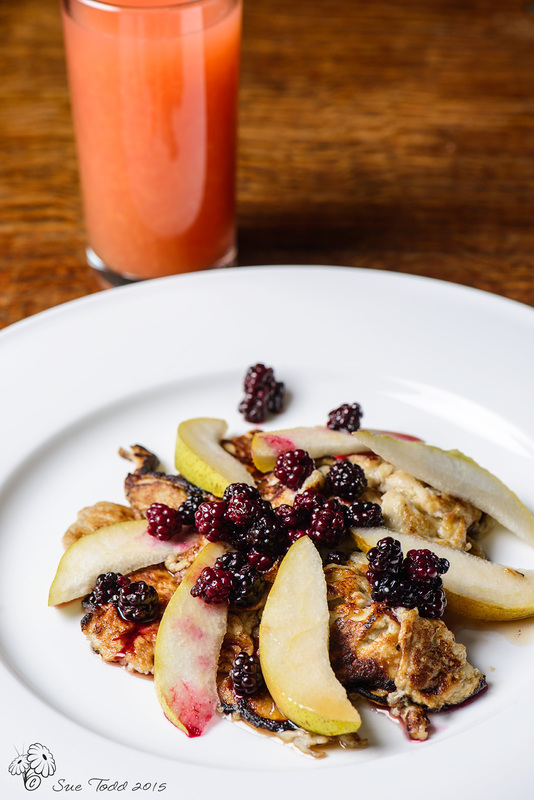 They make the most wonderful breakfast as a special treat when there’s a bit more time to spare, they work with savoury fillings and of course there’s always dessert. It’s one of the few sweet things I’m always ready for. 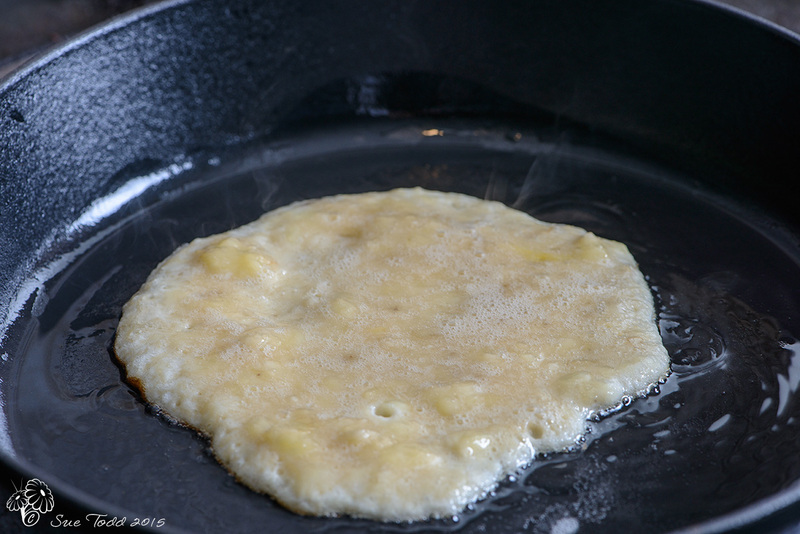 Of course most people assume that pancakes means wheat flour. It doesn’t have too. 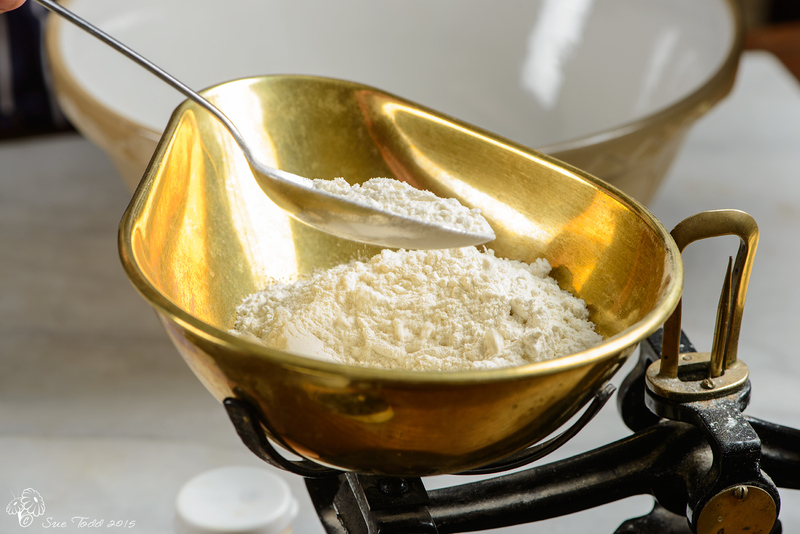 There are gluten-free flours that you can use instead but there are also a growing number of alternative recipes too and we have a couple of them here now, such as banana pancakes and versions made with coconut and almond flours, so if this recipe isn’t for you, then look at one of the others. 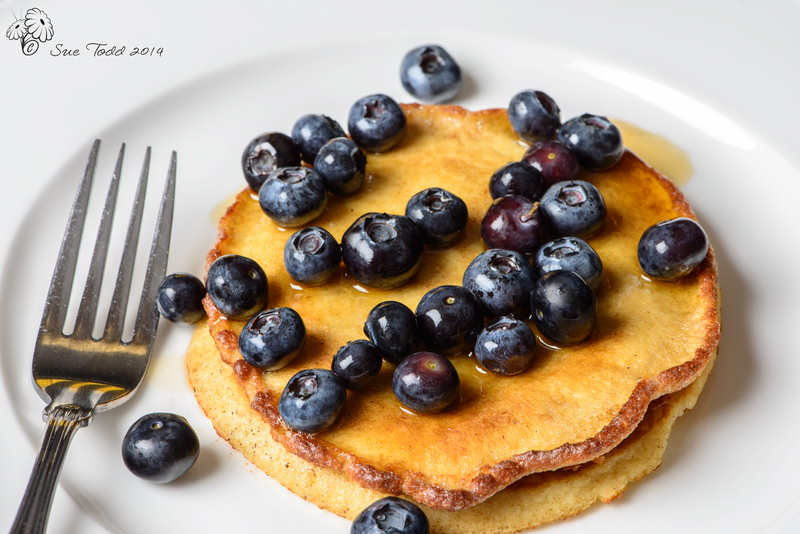 This entry was posted in Breakfast, Desserts, Recipes and tagged Pancakes on February 16, 2015 by Sue Todd.